Fortunately, most people can’t be convinced or are unable to stop treating Magic like a slot machine that you cannot possibly win, and I can keep trading packs for singles. I’ve also had a few of those boxes that just don’t work out. Yes, I buy boxes. For me though, I don’t mind losing out in terms of financial value. After all, it’s not as if each card is made of a particular crystalline carbon arrangement formed at super high temperatures and pressure. Each card is really just cardboard in the end isn’t it? This hasn’t stopped me yet, because my card skills have improved in leaps and bounds since picking up the game. My point is, sure it’s not the most financially viable route to take, but at least you get something out of buying a booster box, rather than gambling away loose cash at a slots row. For instance, I actually love most commons and uncommons. They often have better artwork than the rares or mythics, and I just marvel at the effort the artists put into each design. But yes, buying in boxes is generally a terrible route if you hope to get your money back. But that’s just not the point of the game, is it? If you buy boxes hoping to make a profit, you’re an idiot. If you buy boxes hoping to make a good deck, you’re playing the game correctly. MTG isn’t about money, it’s about having fun. And buying the occasional box is having fun in my opinion. It’s why some people will spend 200-300 dollars on a paintball day, or on new computer games, or on their aeromodelling gear, their chemistry set, or bowling! 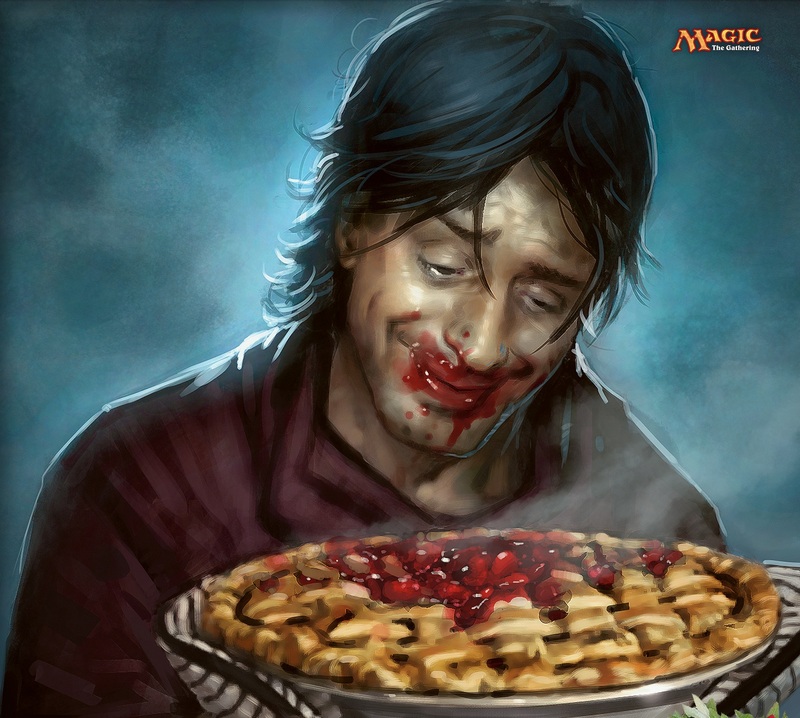 MTG is about having fun and if you do what you love, then the price is worth it. Let me add to my previous post, if I may. Buying singles is also financially a loss. Most people forget that if you buy a cheap card on, let’s say eBay, they normally have to pay a seriously overpriced postage as well. It’s just not often worth it. The same applies at independent gaming stores. Buying a single can leave you out of pocket of five dollars for just a single lousy rare, where there’s an uncommon with your name on it in your collection that just does the same thing. We must also consider the “hey bro, check this out” factor. Some people are players, other’s are collectors. I know this guy with eight Jace, the Mind Sculptor, three Jace, Memory Adept, six Jace, Architect of Thought, twelve Chandra the Firebrand… you get the picture. Actually, that guy is me. But my point still stands! I collect these cards to show off, in the same way as rich old men collect rare cars. And by buying a booster box, you may even get cards you know others want. These are the bingo cards as you can trade THEM as singles for other cards. To conclude, booster boxes are once again a financially stupid idea, but they do come with their peculiar bonuses. Also, you can’t keep a Silver Ghost in a card slip. Believe me, they just don’t fit in a pocket. Unlike a MTG card. But that’s another story! P.S. You can also keep the booster box for your cards and you can also make a pile of booster wrappers to hide in from your wife if need be. Again, a story for another time.